According to Gartner, 50 percent of all new IT service desk tool purchases will utilize the cloud model by 2015. Yet service delivery via the cloud can adversely affect IT’s ability to meet an organization’s requirements. The adoption of cloud-based solutions demands that the business take a look at the skills needed for success, the delivery channels that must be realigned, and the potential effects on the business. With these issues in mind, is it worth venturing into the cloud? 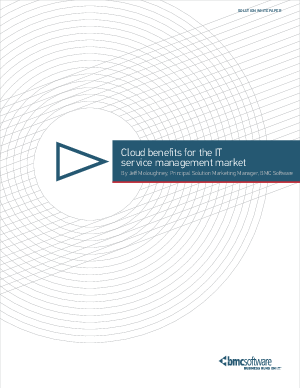 The market has been and will continue to be inundated with a plethora of IT service management (ITSM) vendors creating solutions dedicated to supporting cloud-based service management. In this article, we discuss why this is the case, as well as the benefits an organization can achieve by moving to a cloud-based environment.